​Throw your weight around! 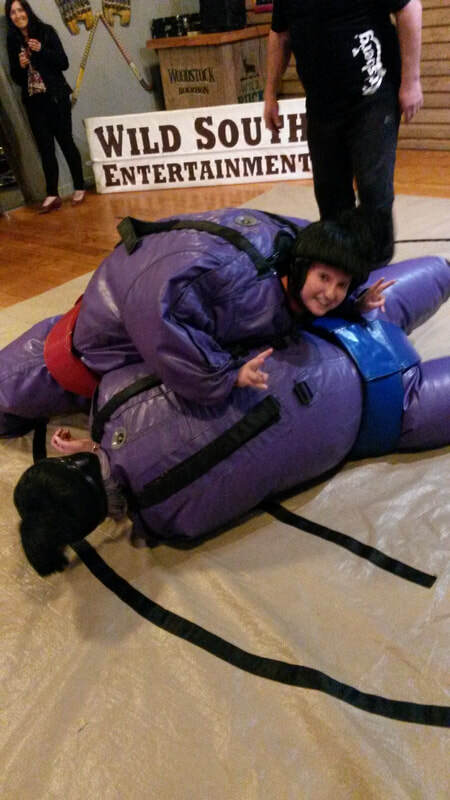 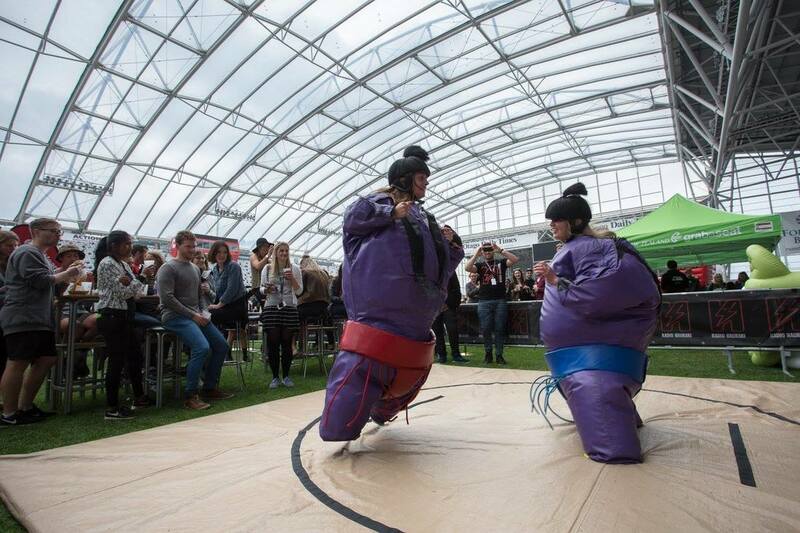 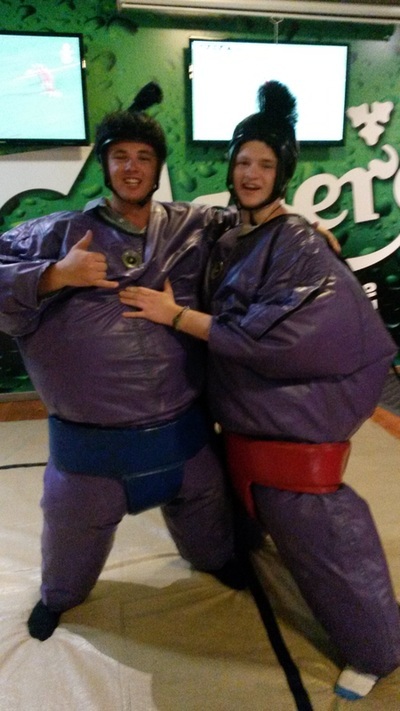 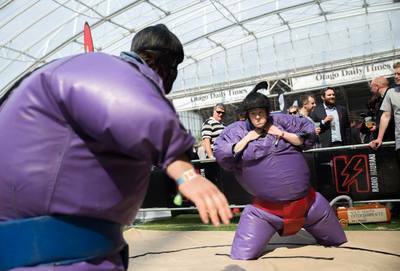 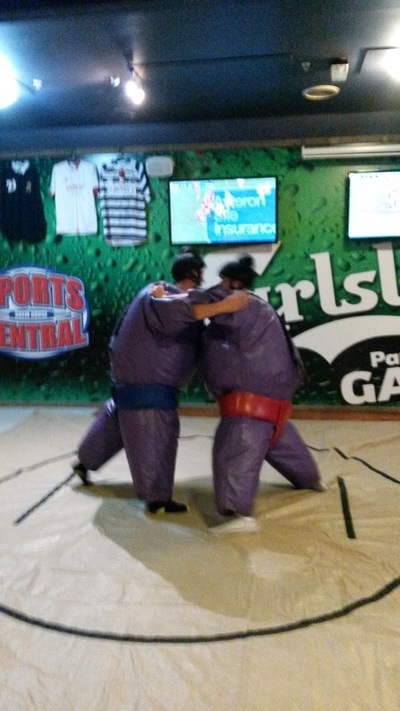 Enjoy being a sumo wrestler with a mate, or a stranger, and knock ‘em down! 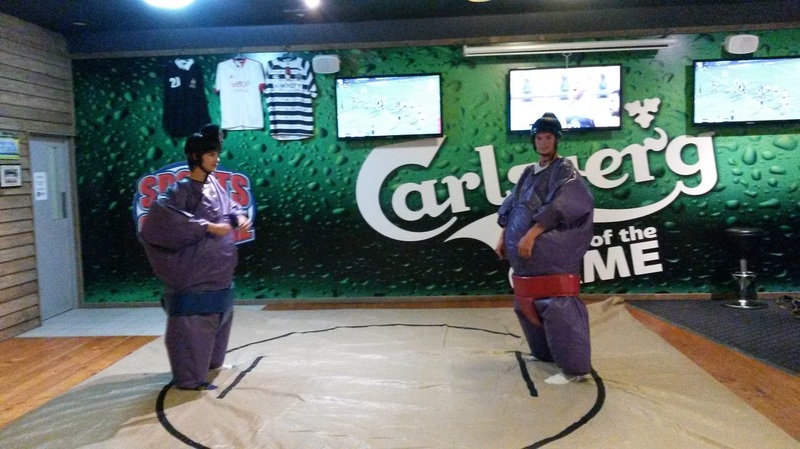 The suits can be worn by most average-sized people and the area required is approximately 5m x 4m square.